To get customers emails, have a few spots available where they can give it to you. Always have customers email address as a mandatory part of checkout- those customers are worth hanging on to, since they already bought your product once. Have one or two pop-ups or places customers can click on to give their email for discounts and coupons, and also have a pop-up that allows them to subscribe to you. These emails should only be every once in awhile, no more than twice a month as you get started. If people want to see you in their inbox all the time, they will subscribe to your subscription service. Many customers are unhappy with all the promotions spamming their inboxes daily, and often remove or unsubscribe from frequent annoying email promotions. Don’t be one of those online stores! Be courteous, and don’t spam. Most customers won’t diligently read the entire page, and even those who are very interested will still skim over the page and only pick up on a few things. It's not that most customers aren’t actually intrigued by what you have to say, it's just that most people read differently when the writing is digital. Small phone screens, too many words and short attention spans can all affect how customers read your subscription. 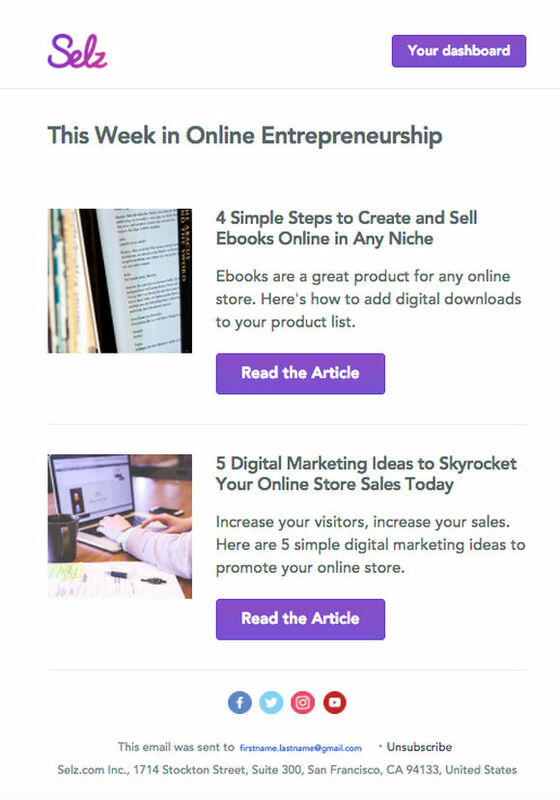 Promoting your store should seem like a side effect of reading your subscription. Morph your everyday work into captivating stories, tell of your adventures, and show your triumphs. Don’t be what people expect you to be or be like someone else- be yourself and others will appreciate the honesty. The true connection will make people want to be friends with you, and staying true to your own personal self will make writing your subscription fun instead of a chore.